Attention synth heads, Fulci fanatics, and hipper-than-thou horror dorks: Italian soundtrack composer and Goblin contemporary Fabio Frizzi is playing his first-ever U.S. shows this fall. The Frizzi 2 Fulci Live tour will begin in Austin, where Frizzi will perform at the Central Presbyterian Church on October 2, hopefully delighting the audience by opening a portal to Hell on the music venue/sacred site. It will continue two days later in Los Angeles, where Frizzi will perform at the Egyptian Theatre as part of the horror-based Beyond Fest on October 4. The L.A. performance will be followed by screening of an uncensored, unrated 35mm print of The Beyond, for which Frizzi composed one of his most famous scores. From there, the tour goes on to San Francisco and Toronto before ending in Philadelphia. 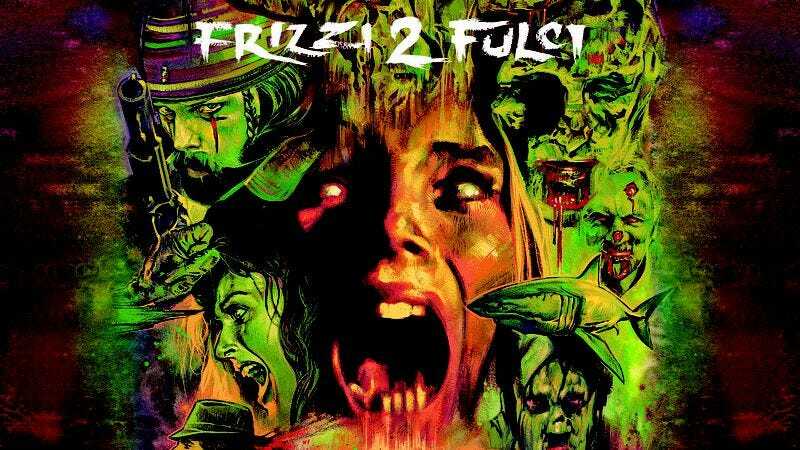 “Frizzi 2 Fulci” features Frizzi and an eight-piece orchestra performing alongside movie clips drawn from his frequent collaborator Lucio Fulci’s filmography. (Frizzi composed the scores for several of Fulci’s most famous works, including Zombi 2, City Of The Living Dead, and The Beyond.) Already well-known among Italian horror aficionados, Frizzi was introduced to a wider audience when the theme from The Psychic (a.k.a. Seven Notes In Black) was used in Quentin Tarantino’s Kill Bill, Vol. 1. As you might expect, these shows are being presented by Mondo and the horror-soundtrack specialists at Death Waltz Recording Co., which are pressing vinyl releases of a 2013 Frizzi 2 Fulci Live performance in London as well as a vinyl re-issue of The Beyond soundtrack in honor of the event. “This is a great opportunity to tell my story in America, the story of an Italian composer and his journey through sound and cinema…It’s an emotion that is hard to explain,” Frizzi says in a press release.